BicycleFriends.com: Are Bicycle Lanes Really Green? "Los Angeles Mayor Antonio Villaraigosa pedaled his bicycle in a bike-only lane in Venice Beach when a taxicab swerved suddenly and stopped in front of him. The mayor clutched his brakes but it was too late. He fell and broke his elbow. 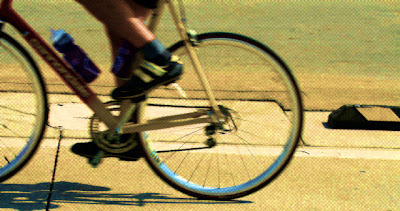 When the mayor’s accident made headlines in July 2010, the incident energized the city’s cyclists and bike commuters around Los Angeles’ ambitious plans to make 1,600 miles of bike lanes in this auto-centric metropolis. Yet little progress has been made in the year and a half since the mayor’s fall because of an unlikely hurdle: California’s environmental laws. Much of the blame — or kudos, depending on where your politics lie — for the delays can be placed on Rob Anderson, a 69-year-old with a salt-and-pepper beard who lives 400 miles north in San Francisco. To the fixed-geared hipsters and bicycle utopians he’s a pariah. The city’s cycling boosters have called him a “magnificent jerk” for standing in the way of safer streets for cyclists, a “scumbag” and a “cynical dickhead” in comments on his blog."